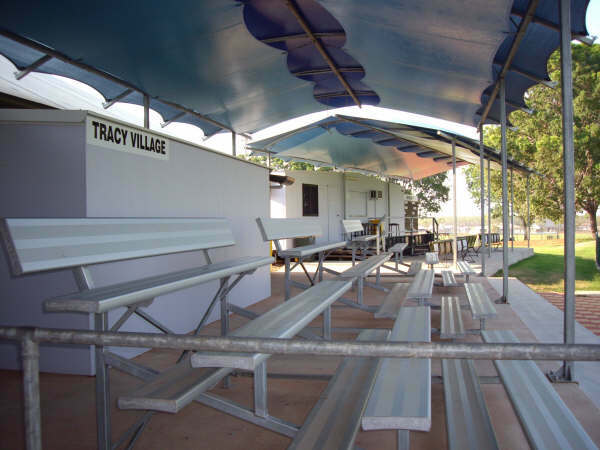 Tracy Village Cricket Club is gifted with some of the best playing and training facilities in the Northern Territory. 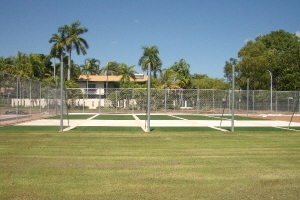 We are fortunate enough to enjoy 5 synthetic training wickets and the ONLY club owned turf practice wickets in Darwin. 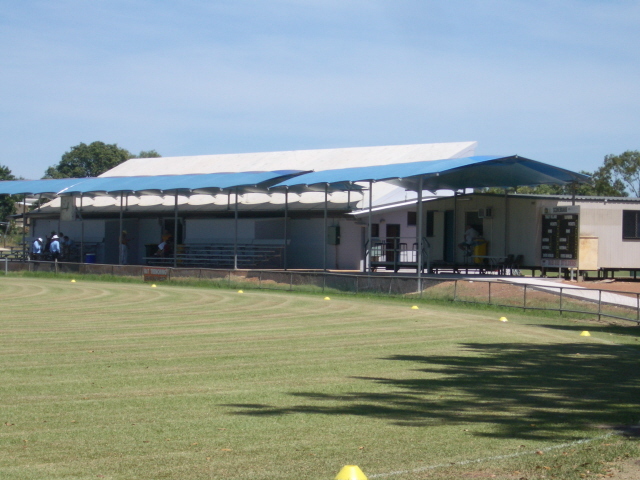 We also have access to under cover nets at the Marrara training facility for pre-season training. 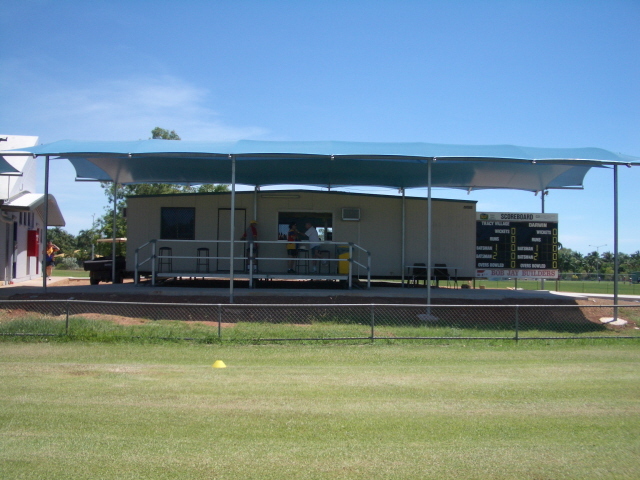 Our club rooms are based in a Donga which hosts Dereck's bar which is perfect for having ayarn with mates. 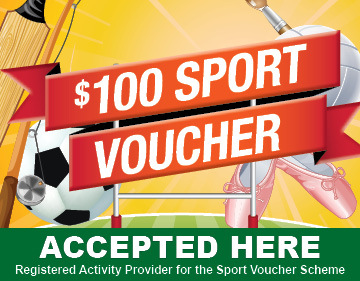 A wide range of drinks are on offer as well as the usual snack foods. 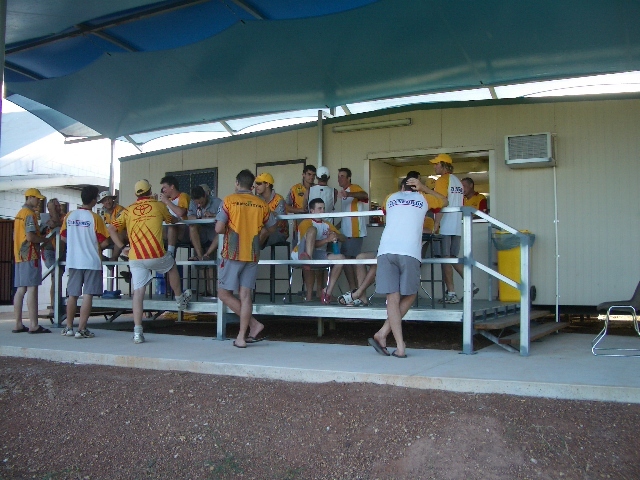 We have the best change room facilities in Darwin, with the exception of the rooms at Marrara Cricket Ground #1 which are run by NT Cricket. Our rooms are large, boast multiple hot showers (although the hot water rarely gets used!!!) and are even air conditioned. 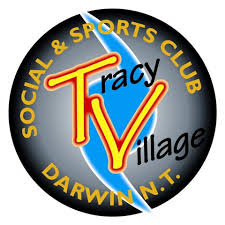 As a TVCC member you are also a member of the Tracy Village Sports and Social Club, who are one of our major sponsors. 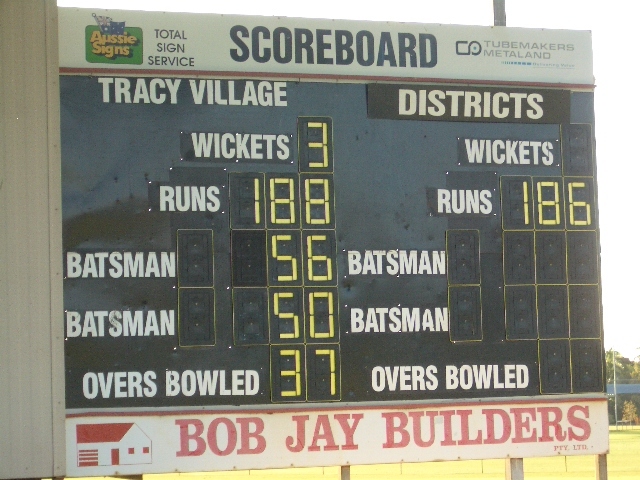 Tracy Village Sports and Social Club plays host to many sporting clubs that plays under the Tracy Village banner including Softball, Baseball, Football, Darts and of course Cricket. For cricket, the oval is renown for being a genuine wicket where batsmen can score freely enjoy a solid battle with pace and spin bowlers. 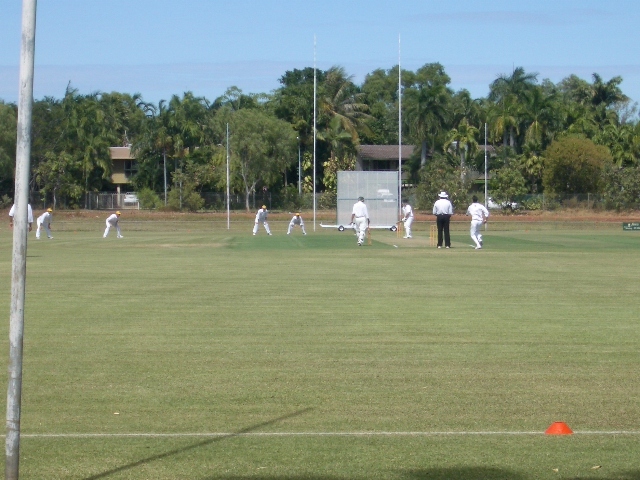 It is consistently one of the best wickets in Darwin. 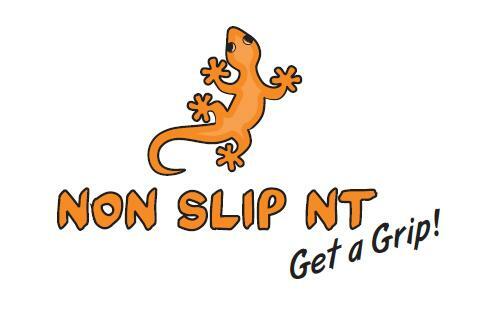 For lower grades we make use of local grounds at Tiwi and Wanguri. 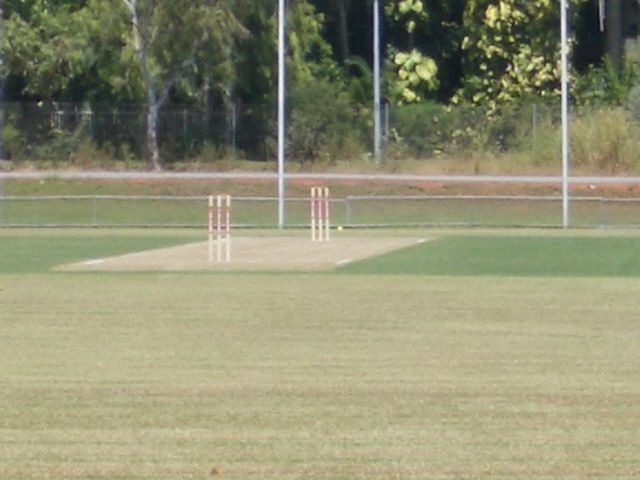 These are both synthetic wickets with the ground being picturesquely surrounded by large trees with plenty of shade. And when the heats gets too much, The Casuarina swimming pool is all but a 2 minute drive from the club grounds.